Jeff Greene is owner of Shallow Water Fishing Adventures. 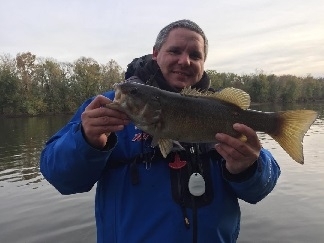 He guides on the main stem Susquehanna and Juniata Rivers in central Pennsylvania and Upper Potomac River for river smallmouth bass, muskies, largemouth bass and walleyes. The River Thump Spinnerbaits are small profile spinnerbaits for heavy current with a smaller skirt profile to reduce drag but you need the extra thump.